The Samsung Galaxy A7 (2018) that was launched globally a couple of weeks ago enjoyed a generous preorder programme for Malaysia customers that took place from 15 to 21 October 2018. 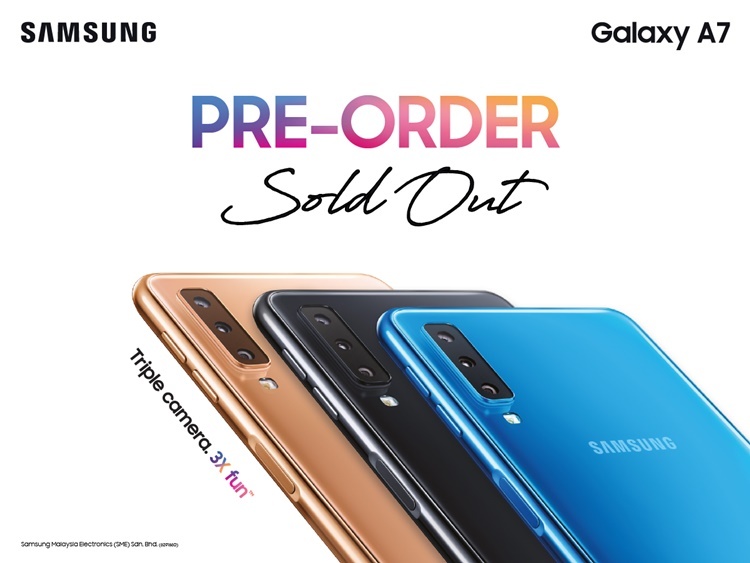 If you’ve been on the fence about purchasing the Galaxy A7 with its potent triple-camera array, alas, you’re out of luck as it its preorder programme was completely sold out in just three days! The Galaxy A7 (2018) preorder programme allows you to buy the phone at its retail price of RM1,299 and get a choc-load of freebies worth RM302 that consist of their Samsung Screen Protection programme, a slick looking thermos mug for imbibing the beverage of your choice and a mini tripod to kit out your phone. 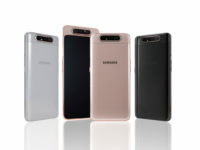 For the uninitiated, the latest incarnation of the Samsung Galaxy A7 is their first phone ever to have a triple rear camera array that helps to cover the bases for the vast majority of scenarios that you’d encounter while taking snaps. For the Malaysia market, the Samsung Galaxy A7 comes with their Exynos 7885 octacore processor, 4GB RAM, a generous 128GB of expandable storage via a triple SIM card slot (two SIM cards and 1 microSD card) and, most important of all, a rear camera array that consists of a 24-MP primary camera, a 5-MP depth sensor and an 8-MP 120-degree ultra wide angle camera. 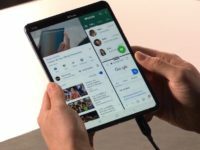 The front is brought up by a 24-MP selfie camera while the whole affair is powered by a 3,300mAh battery. For Malaysia, it comes in your choice of either a shiny black, gold or blue finish.